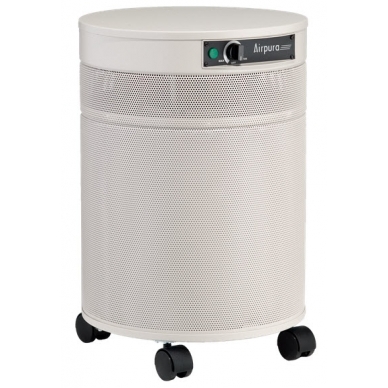 Airpura F600DLX air purifier traps formaldehydes, airborne chemicals, and VOCs with extra large, enhanced impregnated activated carbon bed as well as particles with its HEPA-barrier filter. Super enhanced chemical abatement unit. Some of the prime chemicals filtered which can cause moderate to severe health issues like headaches, drowsiness, and rhinitis are formaldehydes, acid gases, VOCs and so much more. *Please note: This filter combination is NOT recommend for people with severe MCS. Same great quality as the F600 but now with added carbon to adsorb even more airborne chemicals including formaldehyde, acid gases, and VOCS. A HEPA barrier is 95% effective to 1 micron. 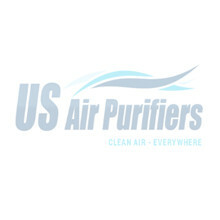 The DLX units are used when the focus is predominantly chemical, VOCs, gases, and odors, instead of fine (.3 microns) particulates like a True HEPA canister would filter which is featured in the non-DLX units. Once the initial problem is resolved, you can replace the special chemical filter with a conventional particle and airborne chemical filter combination to continue to enjoy the benefits of clean, healthier air in your home or work environment. 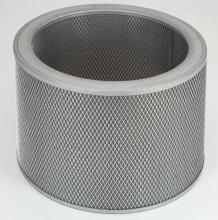 Airpura Carbon Filter for F600DLX - Special Blend 3"